What Do I Need To Know About Subcontractors? Subcontractors are exactly what the name implies – professionals hired to fulfill part of a general contractor’s obligations. No matter the industry, even the most savvy jack-of-all-trades can’t be a specialist at everything or even have time to do it all, so he or she will need some help. As a homeowner, it can be unnerving to have people you didn’t interview or don’t know in your home. Here’s what you need to know about subcontractors. Do I need a subcontractor? Even if you are managing a permitted project as a homeowner (known as an owner/builder), some states and municipalities still require the use of licensed electricians, plumbers and/or roofers. It’s important to make sure you comply, so check with your local municipality before beginning your project. You may not think this is important but your city or municipality is looking out for you. Codes change all the time in order to embrace new technologies and to ensure your safety. 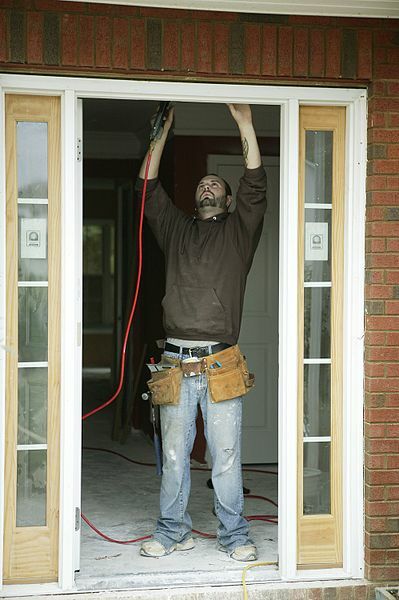 Licensed subcontractors for certain professions are must-haves, and the cost of not using them can be heavy. You can check Kukun’s directory of referenced contractors and subcontractors to find what you need. What should I know about hiring subcontractors? about the way the work was done? Did he or she stay within your budget? Check your state’s laws regarding down payments. Some states allow the subcontractor to retain only 10 percent or $1,000, whichever is less. Never let the payments get ahead of the work: only pay for work that has been completed and materials that have been delivered to your home (there are exceptions such as special order items and any materials or things you particularly want). These should be stipulated in the contract and you should be billed by the subcontractor accordingly. This assures you always have what you’ve payed for, even if the subcontractor leaves the job. It is a good idea to set your payment schedule to coincide with milestones completed. You and the subcontractor should both agree on the terms (in writing!) before any work begins. How should I get started with a subcontractor? When discussing a job with a subcontractor, a specific start date should be specified, as well as an end date. Weather and the like can delay a job and give the subcontractor a reasonable excuse to not be on time. However, it is recommended that if the start date is not met by the contractor as specified (barring events such as extreme weather), the payments should be delayed by the same amount of days. In California, this is legally allowable and all licensed contractors are aware of this provision. How can I find a good subcontractor? Recommendations and/or referrals are often your best lead for quality work. However that can be limiting because that pool of resources is small, so you should proceed to Kukun’s directory to find a vetted one. If your friends were happy, you can more than likely trust them, but expand the competition by finding others to compare to and don’t get locked into your friends’ small circle. Note that most people are delighted to tell you about negative experiences, but aren’t so forthcoming with positive ones – when you do get a glowing review, you should follow up on the lead.